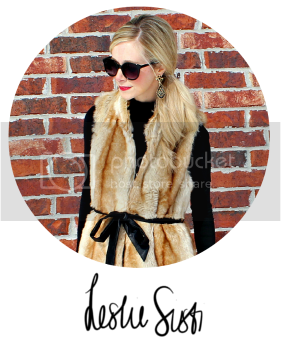 I was contacted last week by a very sweet reader, blogger and fellow Instagrammer named Kristin. In her email, she told me about baby Nella, a sweet little infant who's currently in the fight against SMA (Spinal Muscular Atrophy), Type I. Until Kristin's email and her blog post, I'd never even heard of SMA. What I found out after reading Nella's story not only made me aware of this disease, but also made me want to fight fiercely for this baby girl and her family. But how do you fight for someone you've never even met? Through prayer and awareness, my friends. Prayer and awareness. So, here I am. 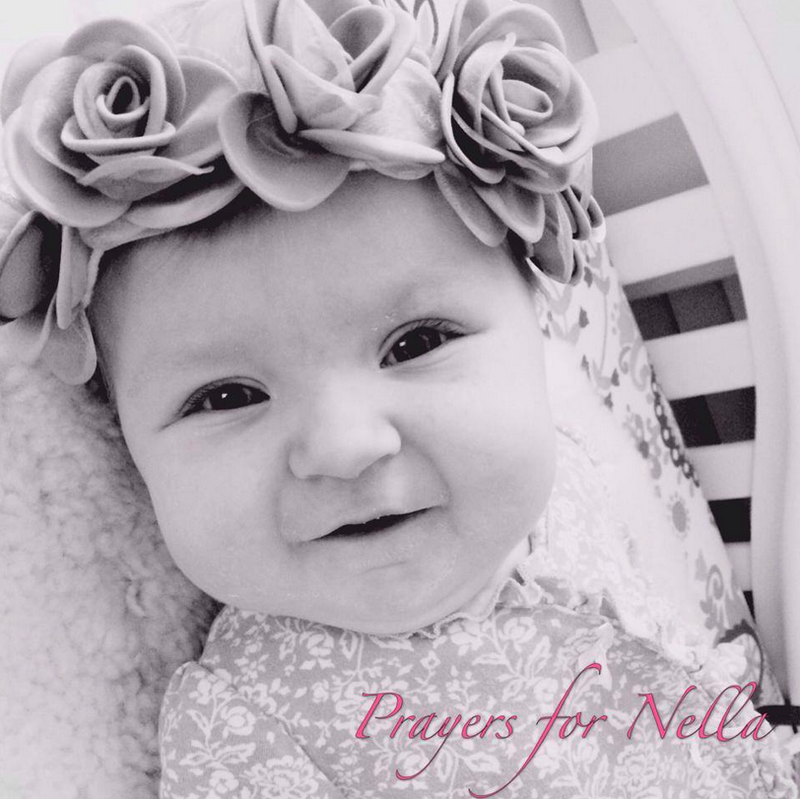 A mom myself, asking you girls to pray fervently for sweet Nella. 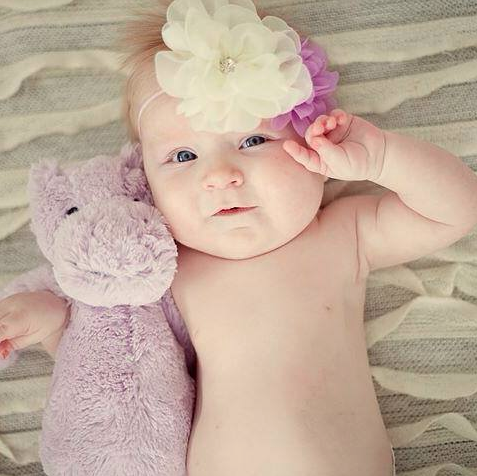 Our beautiful Nella Evangeline was born on August 7th, 2013. She was the daughter we had been praying for. She was born perfect, with a perfect apgar score of 10. Within hours of being born, Nella was holding up and lifting her head. We headed home anxious to start our new life as a family of 4. After noticing Nella had some regression with her strength around 11 weeks old, we took her to see a pediatric neurologist. On October 24th, 2013 our world came crashing down. The neurologist immediately identified what he believed to be Spinal Muscular Atrophy (SMA) Type 1. Nella had the most aggressive form of SMA. We followed up with a second neurologist the following day, who agreed Nella most likely has the most aggressive form of SMA. 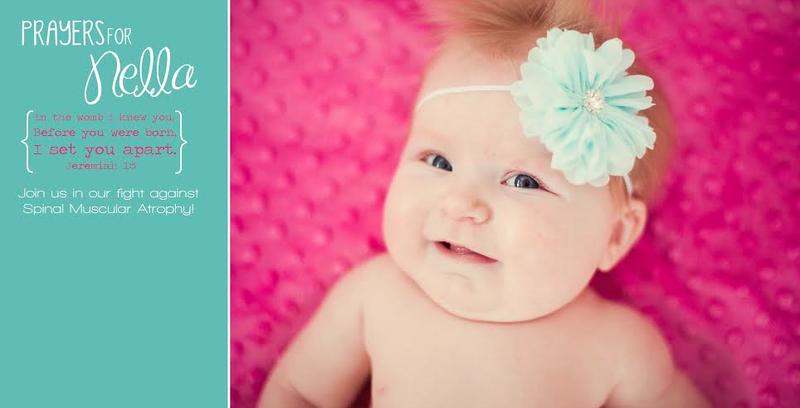 On November 5th, 2013, we got confirmation that our sweet girl has SMA type 1. There is no treatment and no cure for SMA type 1. We believe that God is the ultimate healer, and Nella is in His hands! We remain faithful in prayer and grateful for the blessings we see daily. We BELIEVE in the power of prayer and that God will perform a miracle on our sweet Nella. SMA is the #1 genetic killer of young children. Why had we never heard of this disease until it devastated our family? We have to change this! Spinal Muscular Atrophy affects approximately 1 in 6,000 births, and is the leading genetic killer of infants. SMA is a progressive neurological disease that affects both infants and children. Infants with SMA suffer from severe muscle weakness and atrophy of voluntary skeletal muscles. Muscle weakness in SMA is due to the death of the nerve cells (called the motor neurons) that connect brain to muscle. Simply put, infants with SMA become weaker and weaker, which eventually affects every muscle in the body hindering the ability to walk, sit, stand, eat, swallow, and even breathe. SMA is caused by mutations in the survival motor neuron gene (SMN1). Researchers now understand that these mutations result in a reduction in the amount of protein, called SMN, which is crucial to the function of the motor neurons. Without this protein, motor neurons in the spinal cord degenerate and die. 1 in 35 people, or nearly 8 million Americans, unknowingly carry the gene mutation responsible for SMA. Few have any known family history. 2. Participate in the Instagram auction to benefit Nella and her family March 27-29! You can follow her mommy @bowenandnellasmama for daily adorable photos of Nella and @krisestok for more details on this auction. Lots of AMAZING vendors/boutiques are donating fabulous items. You don't want to miss it! 3. 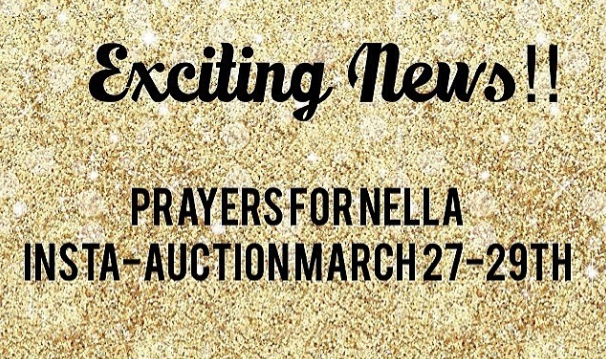 Tell others about the Instagram auction by sharing the below pic and using the hashtag #prayersforNella. 4. Share this post or Kristin's post on your own blogs. We want awareness to spread like wildfire! 5. Send Nella and her family a card! 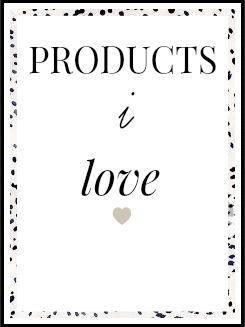 IF you are a vendor/boutique owner/maker of something awesome ----> listen up! If you think you'd like to donate an item for the auction, let me know. 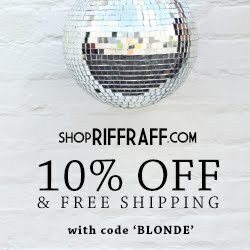 Shoot me an email at askblondeambition@gmail.com and I'll connect you to the people heading up the auction. I'll be back here tomorrow, y'all. Please squeeze your kiddos and loved ones extra tightly today, okay? I know I will. Thanks for sharing. I have seen this hashtag on IG and some pictures, but I wasn't sure what it was for. How horrible for this little girl and her family. Will be praying for Nella and her family now that I have been informed. Thank you Leslie! I appreciate of you and so thankful for you and your big heart!! Thank you for sharing this Leslie! Kristin shared Nella's story with me as well---we think of her often and I'm so happy to see her story growing. Praying for Nella and her family.